This entry was posted in Homeowners Insurance on 06/02/2016 by admin. What’s there to know about your garage door besides the fact it goes up and down? After all, how much more is there? 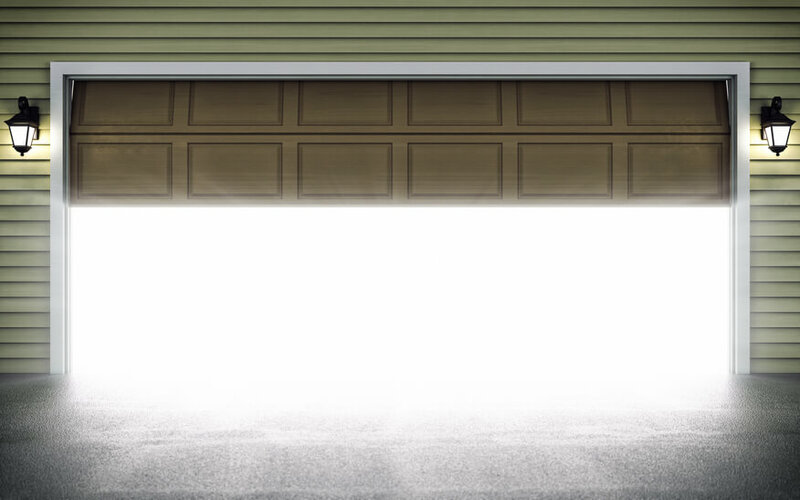 Most of us take our garage doors for granted – until the automatic opener stops working and we’re forced to open and close the door by hand in a rain storm. But, garage doors can also present a variety of safety hazards for you, your kids and your pets – if you don’t observe some simple safety tips. As a general rule, we don’t give things much thought unless they break – and, because your garage door is one of the largest moving objects in your home, it pays to take note of how it could cause injury. According to the Door & Access Systems Manufacturers Association International (DASMA), regular maintenance and careful operation is recommended to help protect your family and vehicles from serious harm. Don’t allow children, adults or pets to stand or run under the door when it’s closing. This includes keeping your vehicle clear of the door as well. This may seem like a no brainer, but children are typically not aware of the dangers associated with a rising or lowering garage door and may not keep their fingers away. Caution them in advance of the possible risk of getting their fingers caught between the rollers, hinges, springs or sections of the door when the door is moving. Your garage door remote is not a toy and should be safely kept out of children’s reach. Also, make sure the remote is out of view any time you park your vehicle outside to avoid tempting a would-be thief. • Is it safe to shut? Don’t assume when closing your garage door it will shut all the way. In addition, make sure there aren’t any people, pets or objects caught underneath before activating the automatic opener. If you’re driving away or leaving on vacation, watch it close all the way to ensure your home is secure while you’re gone. If you have the owner’s manual, you should read it to familiarize yourself with any special features or requirements for your door. Following the proper guidelines for setting and using the special features that are generally standard on garage doors and garage door openers can go a long way to extend the life of the door and reduce the risk of injury when operating the door. New garage doors and garage door openers are now equipped with a variety of safety features, but unless they are properly installed or adjusted, these safeguards could prove ineffective. That’s why professional installation of your door and opener is recommended so safety features such as the electronic eyes, reverse on contact, and emergency release all operate as intended. Although your homeowners insurance covers many parts of your home, check your policy to know if garage door replacement is included and what – if any – the deductible will be in the event you need to replace it. Should you feel your current rates are too high, it may be time to get a free homeowners insurance quote.